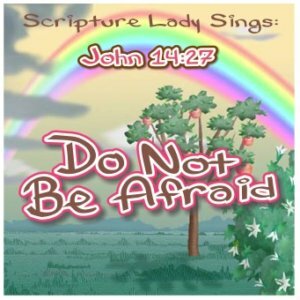 Here is a Bible verse song for John 14:27 that I call “Do Not Be Afraid.” It is a very sweet song with a lullaby feel. It beautifully describes the wonderful peace that Jesus wants to give each and every one of us. My very first musical Bible program for children was called “The Fruit of the Spirit” and I wanted to include a Bible verse song for John 14:27 to showcase the fruit of peace. 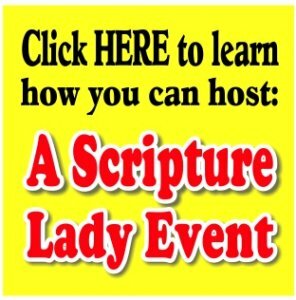 If you liked this Creative Bible verse song for John 14:27, then sign up to receive Scripture Lady’s Free Email Kid Tips packed full with creative ideas and receive 12 FREE Bible downloadable resources to help get the kids you minister to excited about the Bible! Just go to www.MyFreeBibleGames.com to fully subscribe.